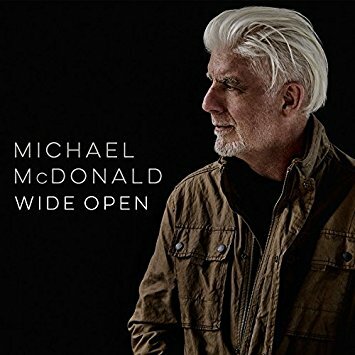 Born and raised in St. Louis , Missouri , Michael McDonald became one of the most recognizable artists of the past four decades and perhaps the greatest "blue-eyed soul" singer. His ability to bridge rock, adult contemporary and soul successfully and his unique, recognizable voice, have made him a leading solo singer and backing vocalist. McDonald first attained notoriety in the early 70s as an adjunct member of Steely Dan. However, it was his 1977 admission to the boogie rock band the Doobie Brothers, and his unlikely steering of that group to a more soul-oriented sound, that made him a star. McDonald-written and sung hits such as "Takin It To The Streets," "You Belong To Me" and the #1 smash "What a Fool Believes" gave an extended commercial life to the Doobies and provided them an unexpected initial exposure on soul radio. When the Doobies disbanded after 1981's Real Love, McDonald embarked on a highly anticipated solo career. However, after a hot start in 1982 with the wonderful If That's What It Takes and the hit "I Keep Forgettin'," McDonald slowed his solo career down, recording only 3 moderately successful albums over the next 15 years. He appeared to spend the majority of his time working on the projects of dozens of other artists, providing backing vocals for or duet work with dozens of pop/adult contemporary artists. His husky baritone was not only the most recognized voice in any choir, his plaintive soulful backing could actually make a song - and other artists knew it. Interestingly, while his work with Christopher Cross, Kenny Loggins and similar artists made McDonald's name synonymous with a laid-back California sound, perhaps his best work during the 80s and 90s was in pairings with soul and gospel artists such as James Ingram ("Yah Mo Be There"), the Winans ("Love Has No Color") and Patti LaBelle ("On My Own"). In the late 90s, McDonald quietly moved from California to Nashville, where a fascinating musical convergence was taking place. A new organic sound was growing there, combining elements of soul, gospel and folk, and McDonald found in Nashville a level of electricity and creativity that he had seen 20 years earlier in California . The central figure in this new Nashville sound was writer/producer Tommy Sims, and McDonald pegged Sims to produce Blue Obsession, the most overtly soulful and spiritual album of his career. Unfortunately, a disagreement with Reprise, McDonald's record label, held up delivery of the album for almost 3 years, and it was quietly released in 2000 on the Ramp label, in cooperation with the group Chicago. This burying of the album was a tragedy, as Blue Obsession was clearly the album for which McDonald's fans had been waiting. The tunes and the lyrical depth of the album (listen especially to "Kitwit Town," a haunting recounting of a town ravaged by the ebola virus) were the best of his solo career, and the energy brought by the change in geography and by Sims' production (and his voice in the duet "All I Need") made the album a real listening pleasure. Fortunately, it remains in print (and is worth finding). He followed with a wonderful 2001 Christmas album, In the Spirit. In 2002, McDonald began working on a project with an interesting thesis: What would happen if the greatest "blue-eyed soul" singer of this generation released an album covering songs by the great 60's Motown artists who had clearly influenced his career? And what if he recorded it for Motown? The result was Motown, McDonald's first major release in nearly a decade. McDonald's approach to the album was reverent - not pilfering old songs to introduce them to a new generation as his own, but covering the Sounds of Detroit as a way of paying homage to the great original writers, producers and artists. Faithful (and some innovative) renditions of "I Heard It Through the Grapevine," "Distant Lover" "How Sweet It Is" and other great Motown songs have reintroduced those songs with a great voice at the helm and the crisp sound of modern recording techniques, bringing new life to classic favorites. It quickly became McDonald's biggest hit in two decades. In the Summer of 2004, Hall & Oates and the Average White Band, did a Summer-long tour of the U.S. and Europe with the Rock & Soul Revue, one of that year's best shows. He followed the tour with a sequel to his hit album, Motown 2. In early 2008, McDonald put the finishing touches on Soul Speak. It was another album filled with his covers of classic soul tunes but also with a few fine originals. McDonald followed a year later with another Christmas album. In Summer of 2010, McDonald announced he would be touring with fellow 70s/80s stars Boz Scaggs and Donald Fagen (of Steely Dan). The trio called themselves the "Dukes of September" and embarked on a very successful and critically acclaimed tour, which was essentially a nightly jam session of the three with their strong backing back, covering their hits as well as covers of classic rock and soul songs.